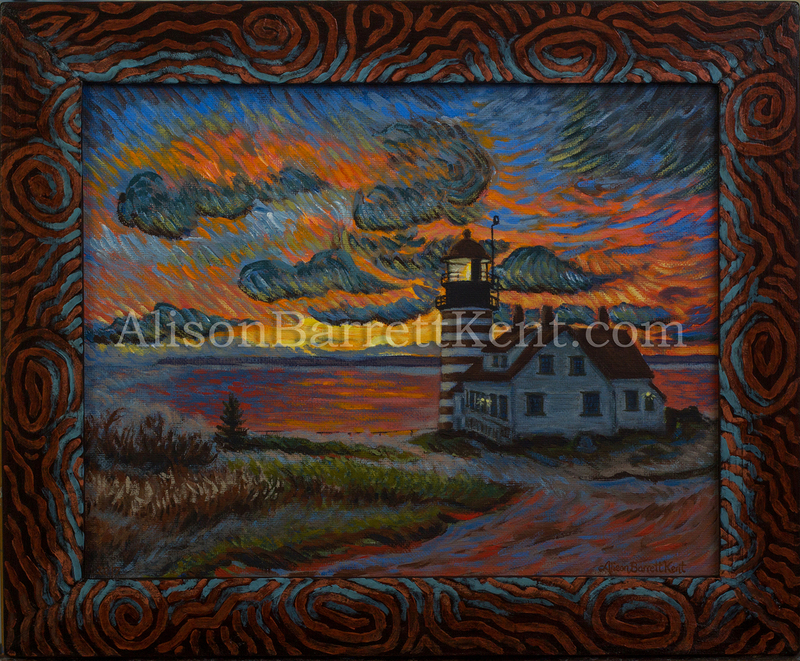 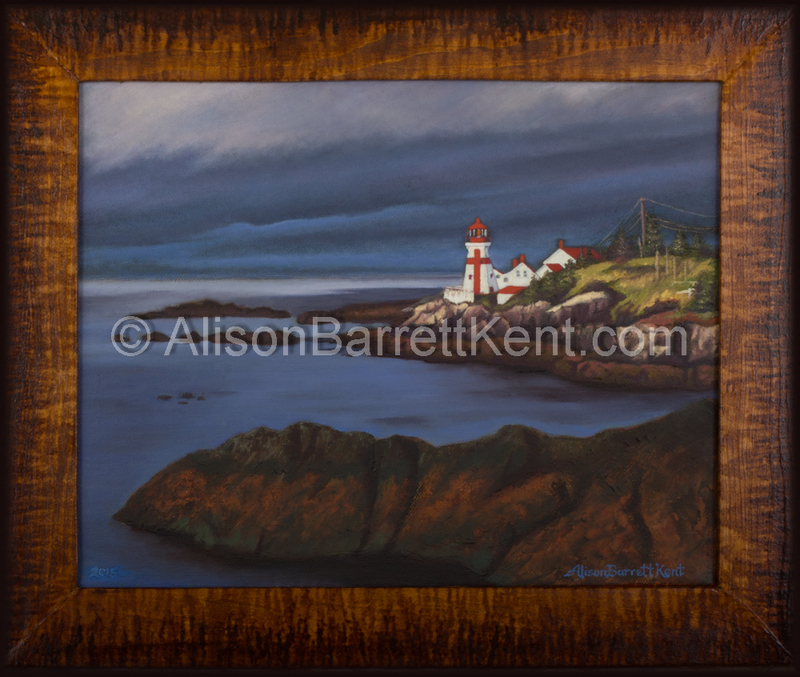 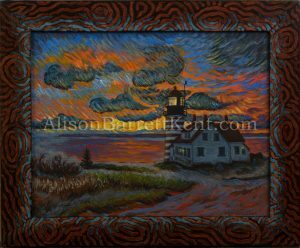 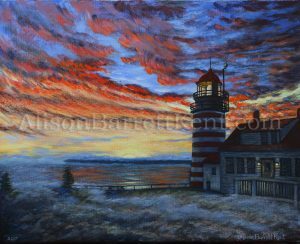 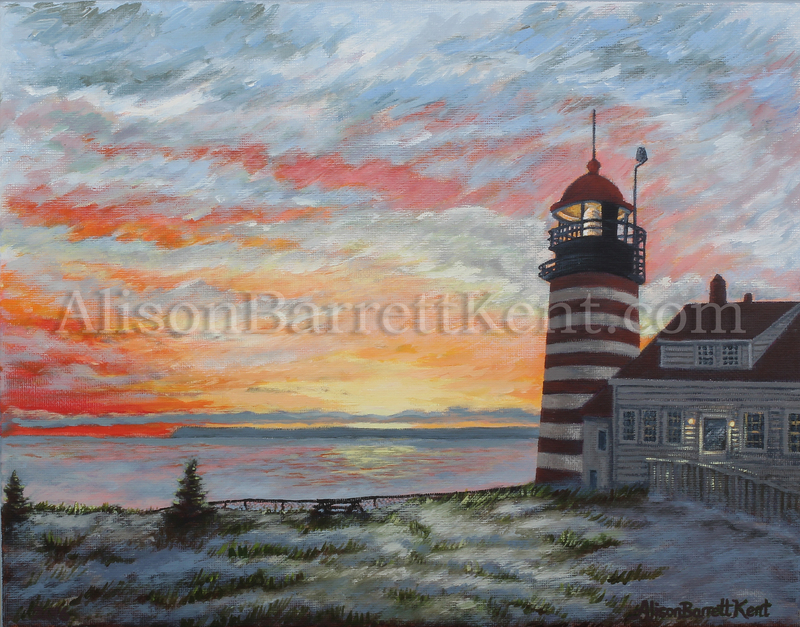 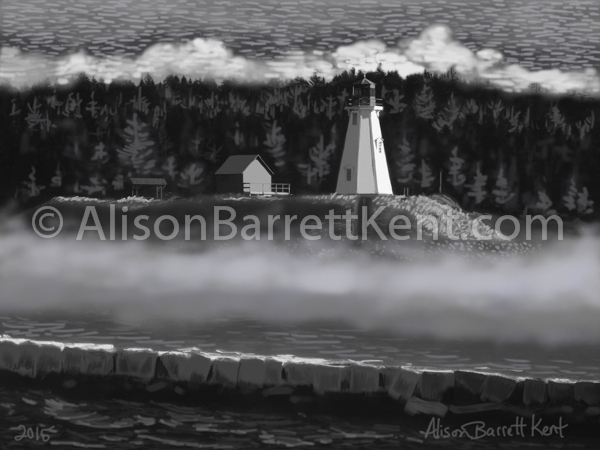 "Head Harbour - East Quoddy Light"
#13 – A stormy sky threatens the East Quoddy Light. 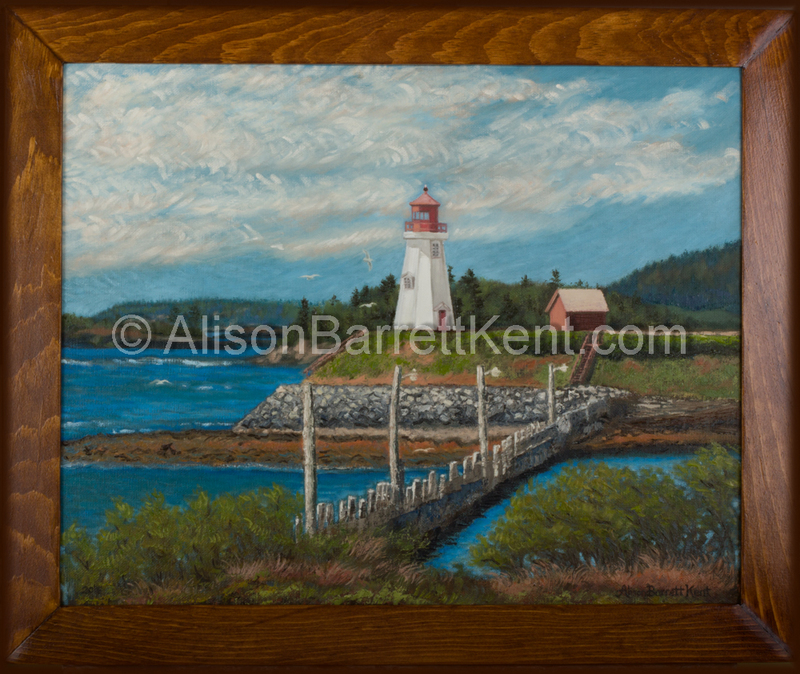 14″x 17″ Framed oil. Built in 1885, Mulholland Light is one of the many attractions in the Roosevelt Campobello International Park. 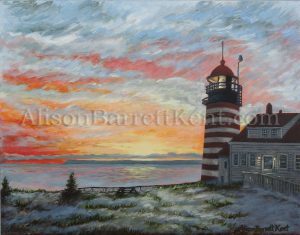 While it is not a functioning lighthouse it remains a popular subject for photographers. 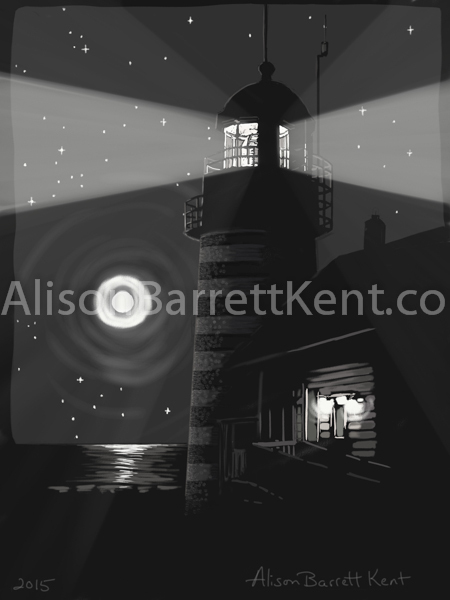 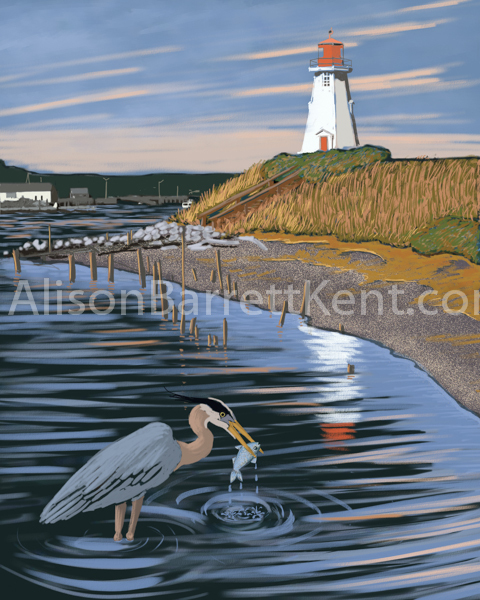 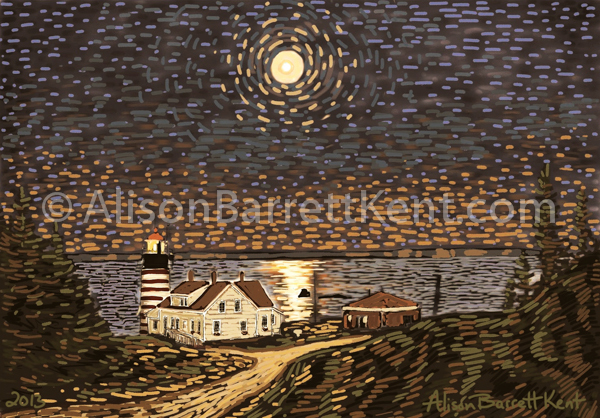 A full moon shines over West Quoddy Light in this block print style rendering. 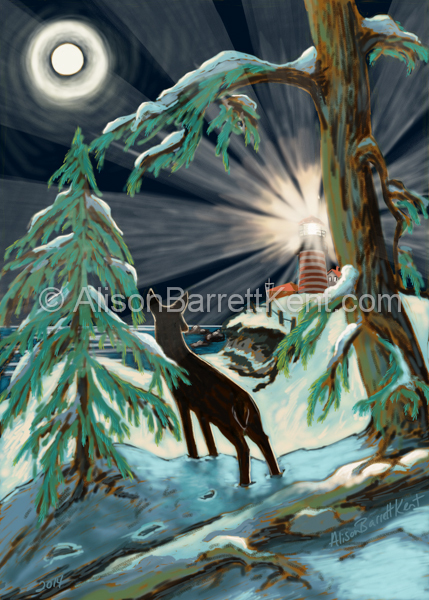 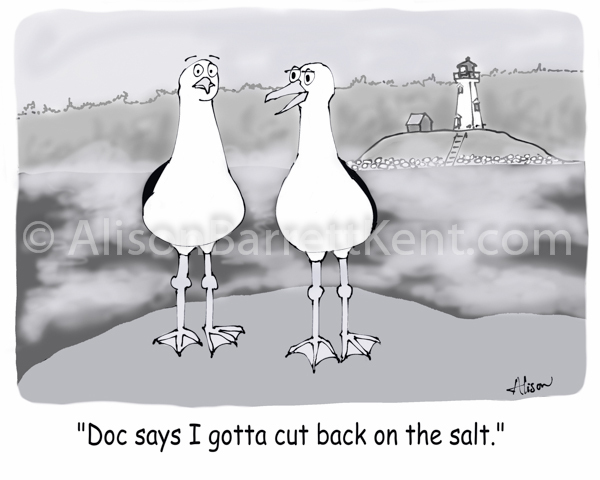 4.5″ x 6.5″ giclee print with 8″ x 10″ acid free mat and backing.